You love to be in water. We’ll get you back in! 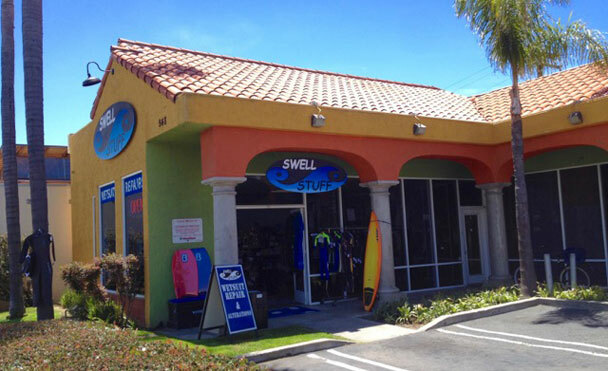 Swell Stuff offers wetsuit repair and alteration services, ding repair and quality used wetsuits sold on consignment. Our operations are sustainably focused, from recycling wetsuits and neoprene to working with eco-minded partners and the community. We keep your wetsuits lasting longer, fitting better and out of the landfill. 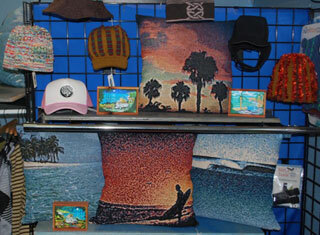 We also offer handcrafted surf products made right here in our shop, local artisan jewelry, photography, beach wear and more. 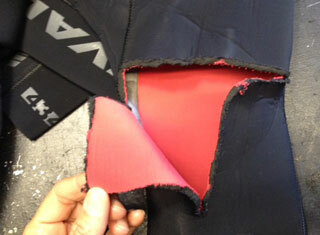 Swell Stuff Wetsuit Repair gets you back in the water with expert repairs and alterations. 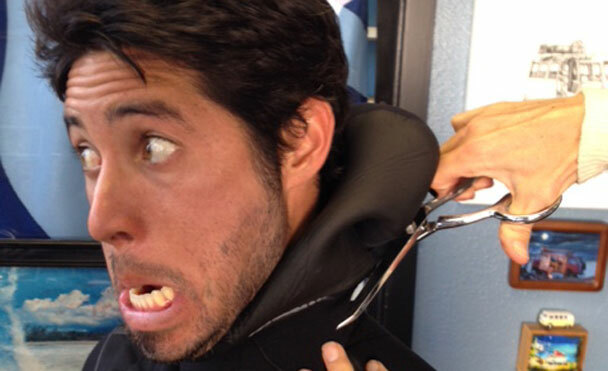 We help neoprene heal from fin gashes, fingernail nicks, rips, thinning, offtrack zippers and more. All repairs and alterations are done right here at Swell Stuff. 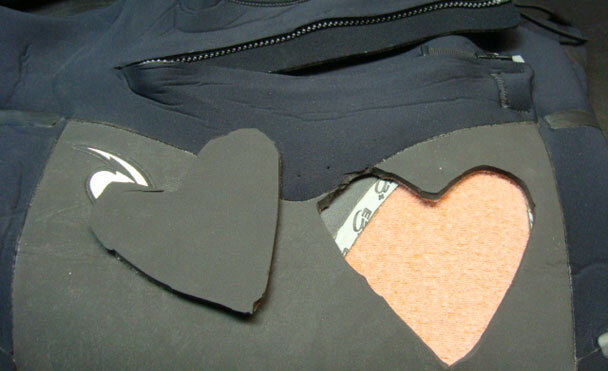 Is your new wetsuit not fitting you perfectly? Legs too long, or neck too tight? 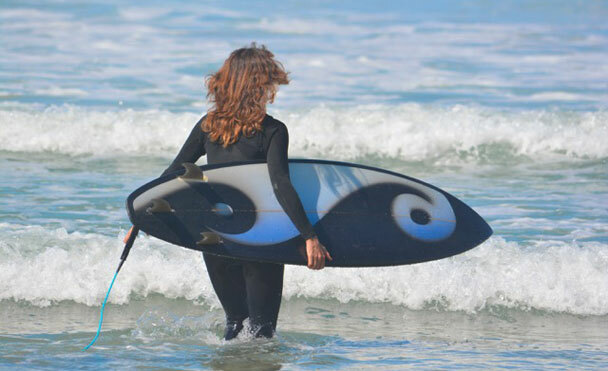 We alter wetsuits because every body is unique, and for any variety of needs. 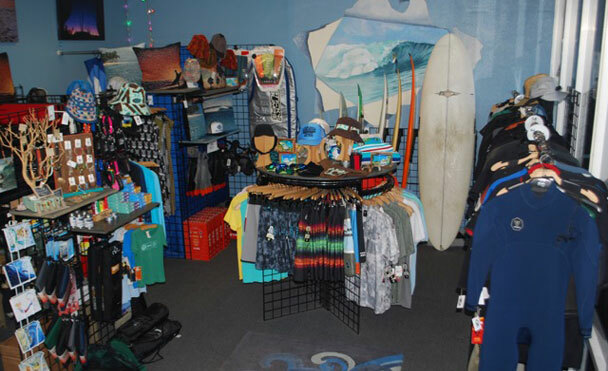 Shop for surf products, locally designed clothing and jewelry, surf art, consignment wetsuits and surfboards, and much more. Cinch Sac is a simple but innovative product to help when changing out of your wetsuit. 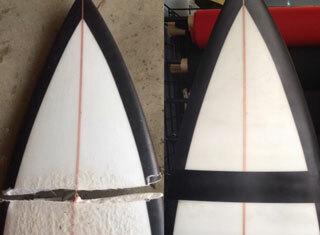 Swell Stuff offers ding repair services done by Alex Velit of A/V Surboards and Ding Repair located in Oceanside, CA. He also is currently shaping for RW Surfboards in Carlsbad, CA.